In her stirring follow-up to the Orange Prize–winning The Song of Achilles (2011), Miller beautifully voices the experiences of the legendary sorceress Circe. The misfit daughter of the Greek sun god, Helios, her powers are weak and her speech too much like a mortal’s. But her unexpected talents in witchcraft prove threatening to the Titans’ realm, leading to her banishment to the remote island of Aiaia. There she resides, carefully perfecting her herb lore, until her solitude is disrupted by visitors both human and divine. 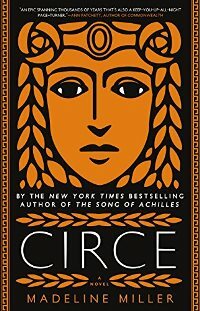 With poetic eloquence (“the days moved slowly, dropping like petals from a blown rose”) and fine dramatic pacing, Miller smoothly knits together the classic stories of the Minotaur, the monster Scylla, the witch Medea (Circe’s niece), events from Homer’s Odyssey, and more, all reimagined from a strong-minded woman’s viewpoint. Circe’s potential rival, Odysseus’ wife, Penelope, is another memorable character, and the novel speaks to women’s agency, war’s traumatic aftermath, and how strength emerges from emotional growth. This immersive blend of literary fiction and mythological fantasy demonstrates that the Greek myths are still very relevant today. My review of Circe first appeared in Booklist's March 1 issue, and the novel will be published by Little, Brown just over a month from now. on April 10th. 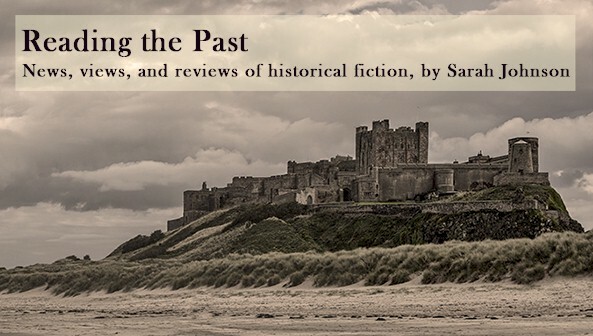 Readers may want to note that it falls closer to the "fantasy" end of the historical fantasy spectrum (it's being classified by the publisher as historical fiction, though a good part of the novel takes place in the realms of Greek mythology). I read this book back in January and I am still so in love with it. I love the way that Miller retold and combined all of the classic story elements into something so beautiful but still so authentic. Beautiful review, thanks for sharing! Thanks, Jordan! I agree - I hadn't consciously realized before this that Circe had figured in so many different myths. I think I need to catch up with this author’s work! I must read this! It sounds awesome. Hope you'll enjoy it, Trisha!